Bayern Munich and Eintracht Frankfurt meet in the DFB Pokal final at 7.00pm on Saturday 19 May. Read the match predictions to find out why Bayern Munich is the football betting tip to beat Eintracht Frankfurt at the Olympic Stadium in Berlin. 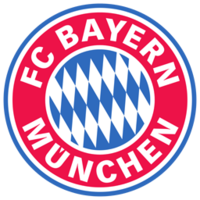 Bayern Munich won the Bundesliga in a canter, finishing 21 points clear of second-placed Schalke. They were denied a place in the Champions league final by Real Madrid last month but can gain small compensation by achieving their 11th league and cup double on Saturday. 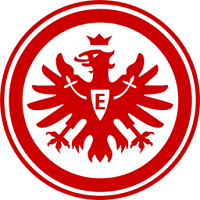 Eintracht Frankfurt have won the German Cup four times. They were runners up last season when beaten 2-1 by Borussia Dortmund and bid to lift the trophy for the first time since 1988. The Bayern Munich physio room has been busy at the end of the season as players ensure they don’t take niggles into the World Cup. Rafinha, Mats Hummels, David Alaba. Arjen Robben, Juan Bernat and Jerome Boateng have all received treatment and it would be no surprise if one or two didn’t make the final on Saturday. Manuel Neuer and Kingsley Coman are back in training after recovering from their injuries but are unlikely to figure at this late stage. Eintracht Frankfurt manager Niko Kovac has no major injury concerns and has a number of options to consider. Likely to play one up front against the Bundesliga champions, he must decide between Luka Jovic and Sebastian Haller. Argentinian defender David Abraham could be recalled should Kovac opt for the back three which proved successful in the semi-final against Schalke. Bayern lost their unbeaten home record on the final day of the season when Stuttgart were allowed to ruin riot in the Allianz Arena for a shock 4-1 win. Josef Heynckes will enure the players are more focused here and we shouldn’t expect a repeat of that performance. The stats suggest this could be a high scoring affair with goals from both sides. Bayern have only kept one clean sheet in the last eight in all competitions while three of the last four of Frankfurt’s matches have seen three goals or more. Frankfurt defeated Schalke 1-0 in the semi-final last month but have otherwise been in a poor run of form since the beginning of April, losing five of the last seven league games. This should be a straightforward win for Bayern Munich assuming the Bundesliga champions keep their minds on the task in hand. Compare match odds for Bayern Munich vs Eintracht Frankfurt. Select from the drop down menu to compare odds for Both Teams To Score, Over/Under and Half Time/Full Time markets. Get the best odds for Bayern Munich vs Eintracht Frankfurt and improve your betting results. Open a new account with online bookmakers and get free bets. Bet on Bayern Munich vs Eintracht Frankfurt and receive a free bet or get a free bet on Bayern Munich vs Eintracht Frankfurt.